I’ve spent over two decades thinking about the history of race relations at Rice, first for my dissertation, then for the book that followed, and even now out of simple curiosity. 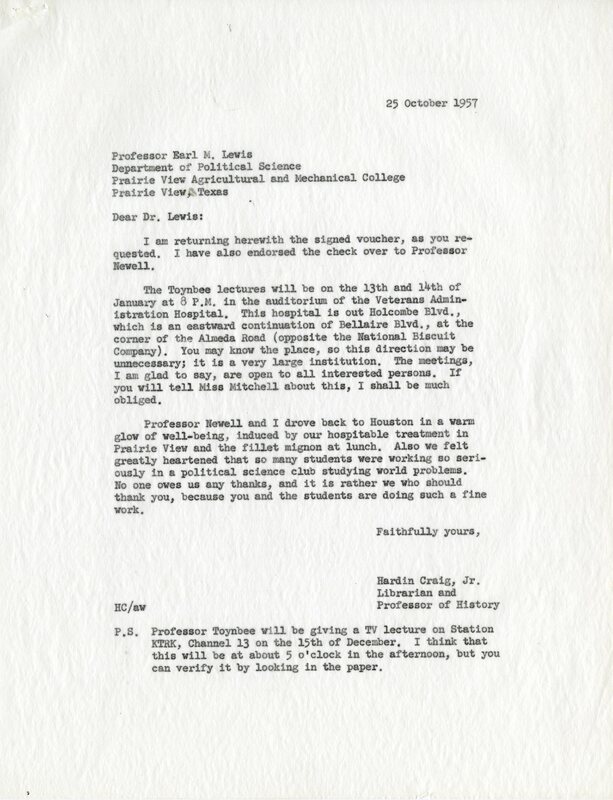 One of the oddities in this story is that until this afternoon I’d never found a single trace of contact between Rice professors and the faculty of nearby black universities before the official desegregation in 1965. I always knew that couldn’t possibly be right, that there had to have been relationships and instances of cooperation, but they were kept so quiet that I long ago gave up hope of finding anything. Craig’s correspondent, Earl McKinley Lewis, seems to have been a very great man. After he left Prairie View A&M he became the first African American faculty member at Trinity University and an important civic leader in the city of San Antonio. Follow this link for a lovely memorial piece about him. I lifted this picture of him from it. 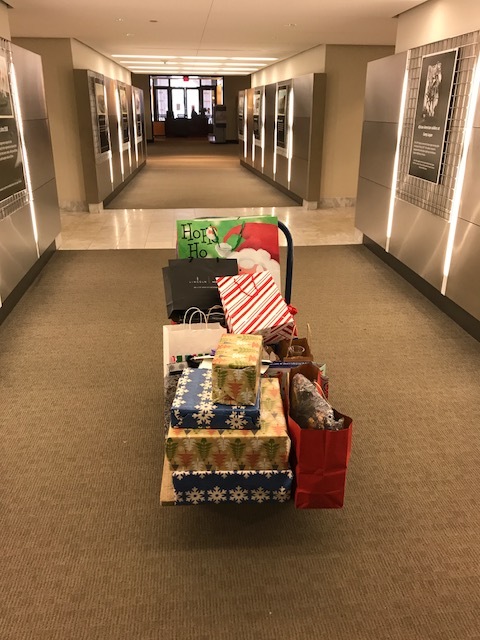 Bonus: Santa seems to have made an early delivery to Fondren. Very interesting letter. There was little interaction between Rice and cross-town TSU students around that time that I am aware of, except that some Rice students participated with black students in the sit-ins that occurred at the end of the decade. Also, it must have been in the spring of 1961 (the year I was awarded the B. S. degree) that Baptist students from TSU were allowed to attend the state-wide spring gathering of Baptist Student Union members at a place called Latham Springs. The young man who was their director that year was none other than Rev. 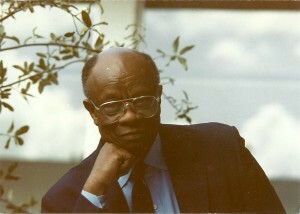 Bill Lawson, a legendary civil tights leader in Houston and later the founding pastor of Wheeler Avenue Baptist Church. I attended that gathering, and I was quite impressed at that early date with Rev. Lawson. Weren’t there some black couples from TSU invited to some social thing in the early 60’s? Rondelet or homecoming or something? I seem to recall a Rice History Corner post about that. Yes, it’s easy enough to find student interaction. My guess is that the explanation for lack of evidence of faculty interaction is two-fold. First, they were just more likely to be cautious, as faculty members usually are. Second, as it became (quietly) known on campus that the decision to desegregate had been made by the trustees but not yet implemented, they were warned by President Pitzer to keep a low profile on these matters avoid stirring up a hornets nest.